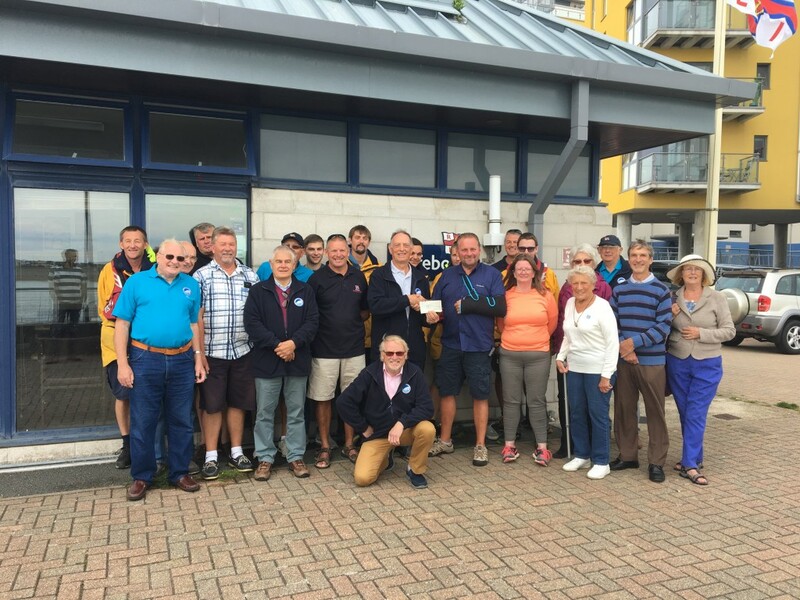 On Sunday 3rd September the chairman presented a cheque for £705 to the Eastbourne RNLI in recognition of the service that they provide to all those who require their assistance. On behalf of the Eastbourne RNLI I would to thank the generosity of the members and to those who helped to make this possible through donations, collections and the money raised at the recent club auction and the money will be used to kit out their latest recruit. I would like to thank the members who attended the presentation, Ray Jackson, Richard Bosly, Peter Lockhart, Richard Parkinson, John Martin, Gerald Bishop, Roger and Janet Lumley and PaulGuy together with myself and my wife Kim who got to spend some time talking with members of the crew.